NEW JERSEY: Pollster Moves Senate Race To Toss-Up - Joe.My.God. The New Jersey Senate race is now looking like a toss-up, according to the the Cook Political Report — a sign that Democratic Sen. Bob Menendez is in serious troubles after years of questions about his ethics. If Republicans pick up that seat, a Senate majority would be out of reach for the Democrats. Federal prosecutors dropped their corruption charges against Menendez earlier this year, but the Senate Ethics Committee admonished him for accepting gifts from a friend. 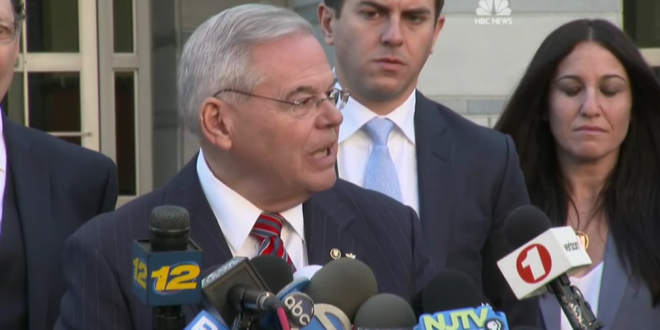 The contest isn’t about anything else but Democratic U.S. Sen. Bob Menendez and his ethics problems. His opponent, pharmaceutical CEO Bob Hugin, has outspent the incumbent, $27.7 million to $11.8 million, according to the pre-election FEC report, and most of Hugin’s money has funded television ads. The Senate Majority PAC, the Democrats’ Senate super PAC, has now invested nearly $6.5 million in the race, including a $3 million advertising buy this week. This investment levels the playing field somewhat, but Hugin still holds a very definitive advantage on television. The Hugin campaign sent homocons to hand out flyers at Jersey City Pride last month. I didn’t see one taker during the minute or so that I watched.